Creative and Analytic, Innovative and Organized. Being two sides of the same coin. I can and have designed entire advertising campaigns, then tracked the ROI and made logical decisions based on the numbers. Excel and Photoshop are both in my toolbox. My Employers and Clients Have Seen Great Growth. 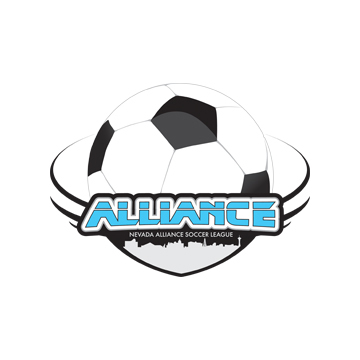 Nevada Alliance Youth Soccer saw a 53% growth in registration over the previous season with a projected 60% growth for all of 2015. Branding is one of the most important aspects of any business, large or small, retail or B2B. Everthing from design to customer service, it's who you are and who you want to be! I’ve built my career in a variety of roles and industries, mostly in smaller companies where I was not just the Manager, but also the graphic designer, web developer, bookkeeper, social media guru and more. I’m not only used to wearing many hats, I enjoy it; I thrive in an environment where no two workdays are exactly the same. My responsibilities have ranged from creating entire marketing campaigns with respect to strategy, brand and message to evaluating ROI and tracking online analytics. 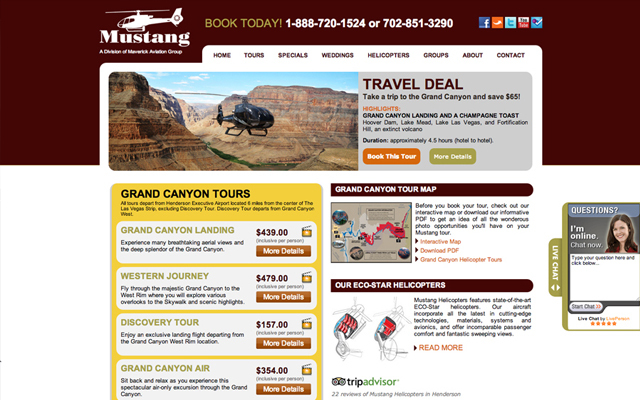 From designing a post card to writing code for a website. I am a unique and universal marketing professional with a vast knowledge in many different areas of marketing and business. In three years, NAYS now has over 900 players per season after starting with 89, has secured McDonald’s as a league sponsor and has a budget to help the league continue to grow into the future. Responsible for developing a marketing plan and the execution of the plan. 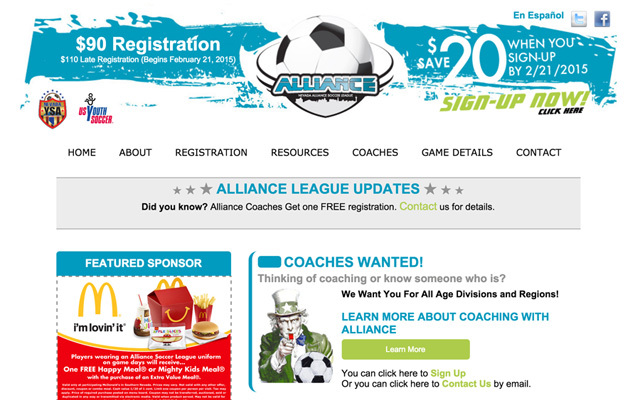 Designed and developed website and league administration backend. Analyze analytics and effectiveness for online and print marketing. 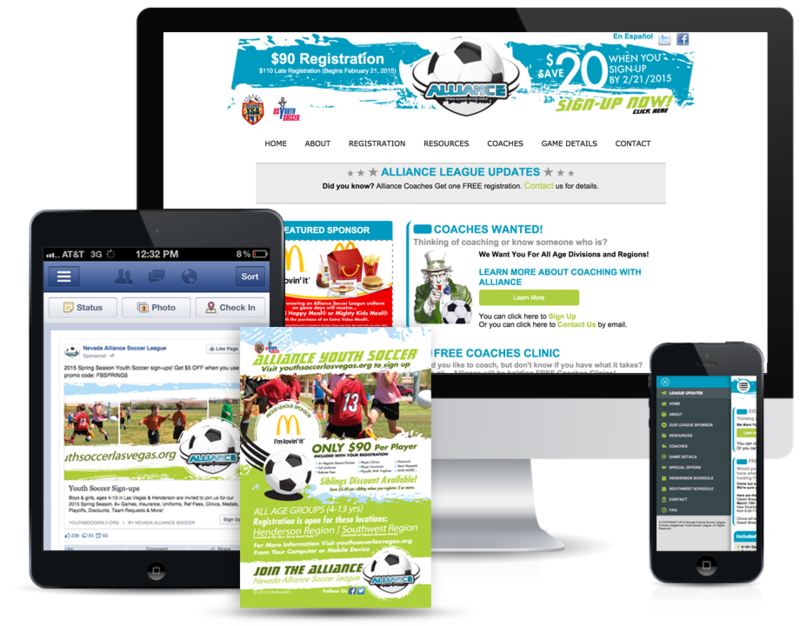 Played a key role in revitalizing a failing organization and increased participation by nearly 1000% over three years. As a group of partners, we were able to consolidate and offer our collective clients more as one company. Offered consulting, website development, social media management and graphic design. Multiple responsibilities have included project management, operations and design. 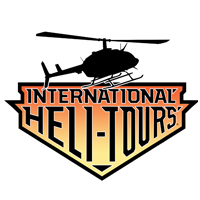 Executed the day-to-day operations (payroll, accounting, license filings, etc...). 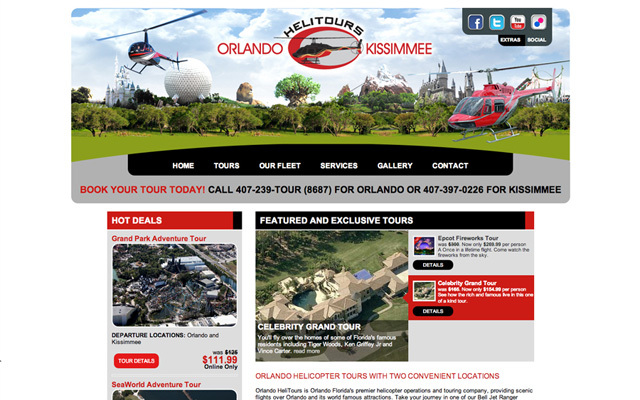 Designed all print, online advertising and UI Web development for clients. 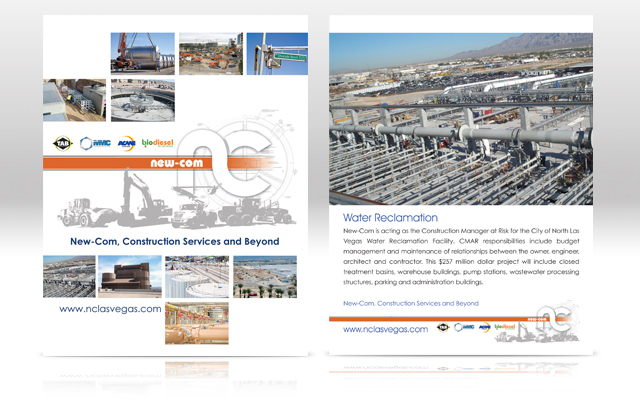 Was project manager and account representative to all clients. 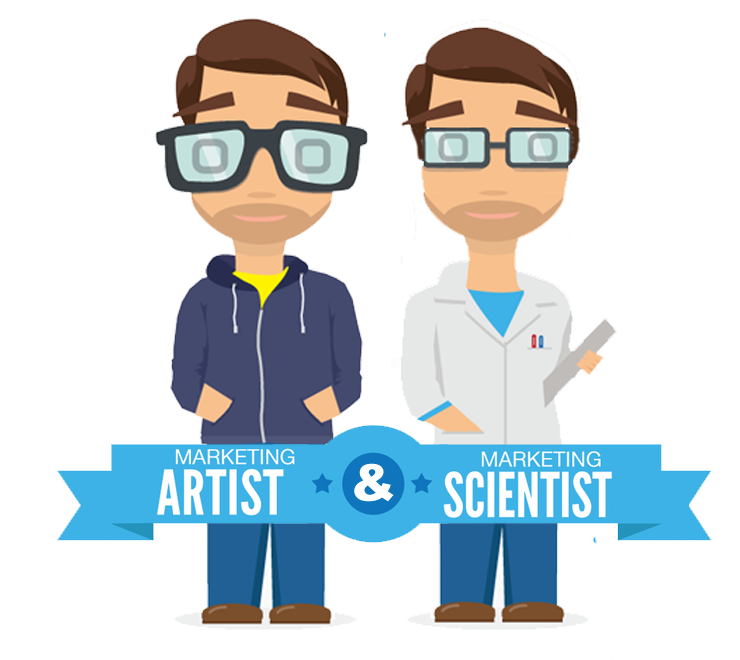 In charge of analyzing client marketing efforts and adjusted when needed. 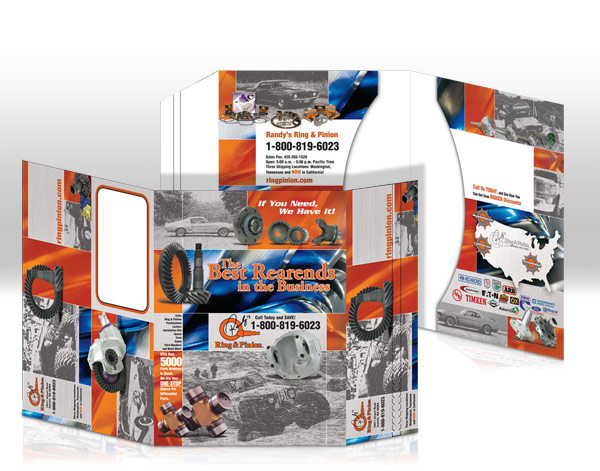 With this automotive parts manufacturer, I started as a Graphic Designer. After one year, I was promoted. 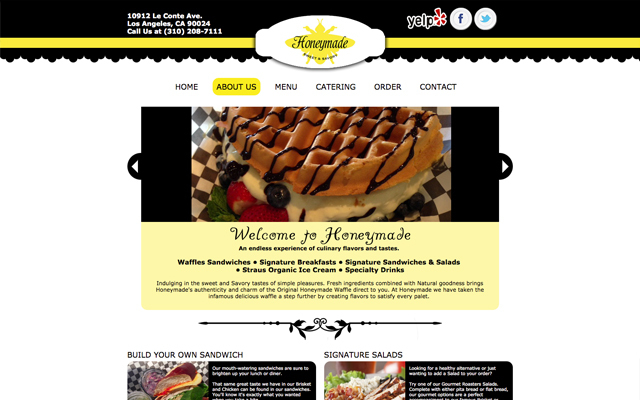 We grew 20% a year due to a successful marketing plan and budget. Responsible for running the marketing department and tracking all projects. Evaluated marketing material in respect to ROI to determine effectiveness. Responsible for art direction and development of the marketing plan. Planned and organized vendor booths at 2-3 tradeshows each year. Developed a successful direct marketing campaign, effective magazine advertising and assisted in developing a strong out-call program. 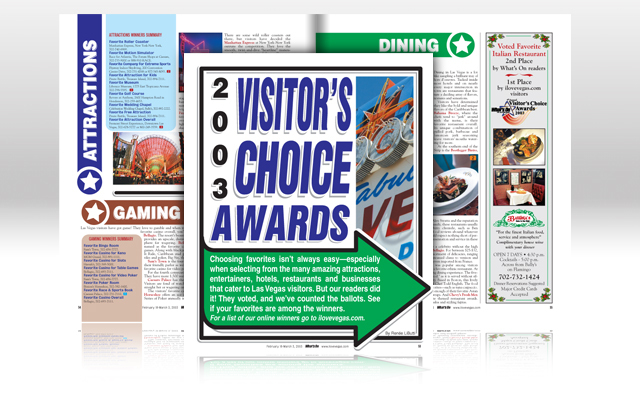 I started my career with this Las Vegas publication as a graphic designer. 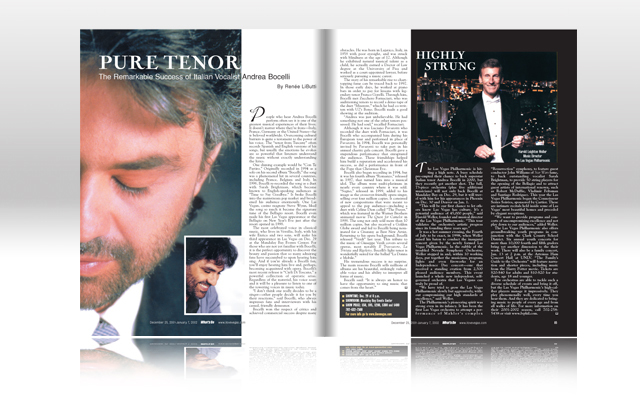 In 2007, I returned to the magazine, this time under different ownership and as the Creative Director. 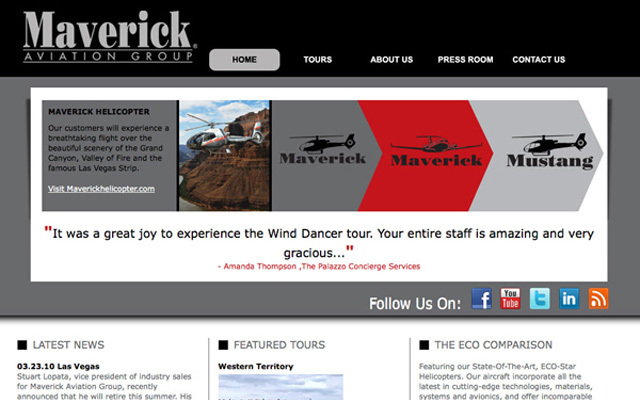 In charge of a production team of four designers and layout artists. 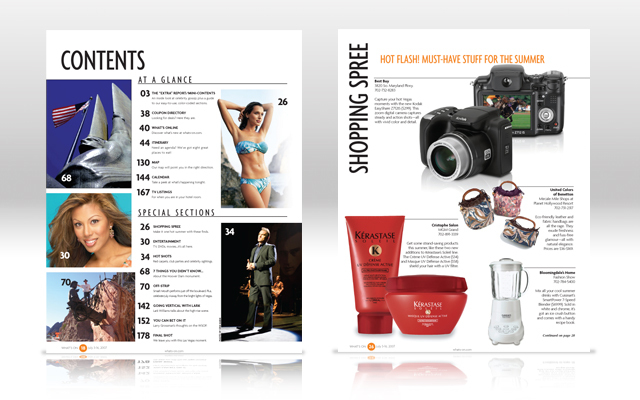 Art directed all layout and design for two magazines and website. 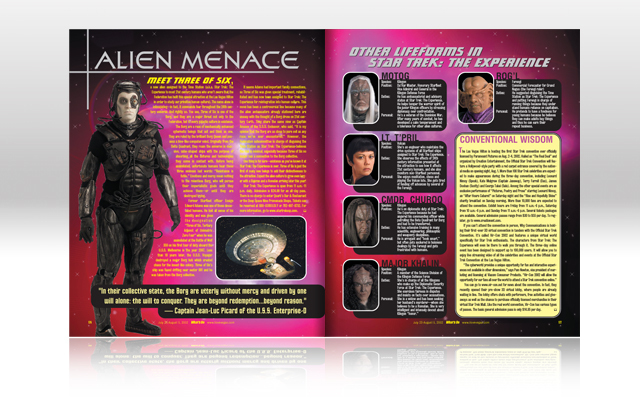 Rebranded the magazine, updating logo and layout of the publication. 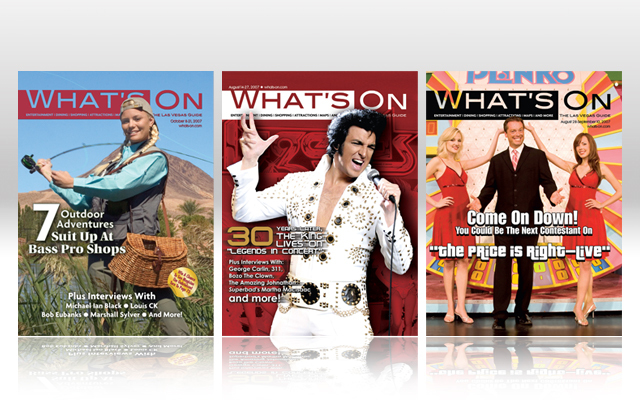 Photographed entertainers and events for use on the cover and story layouts. 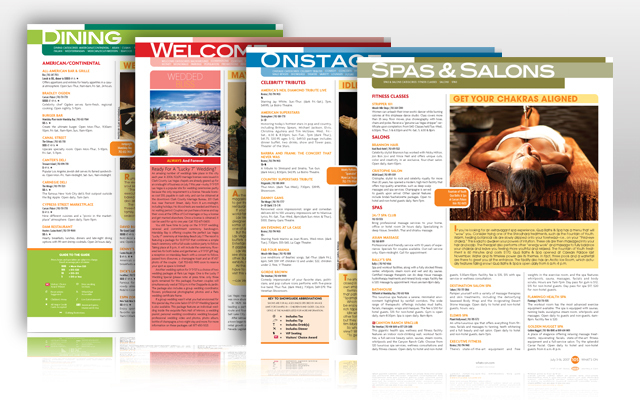 Worked closely with the publisher and sales staff to generate the collateral needed for advertising sales. Won four awards for marketing and cover design. 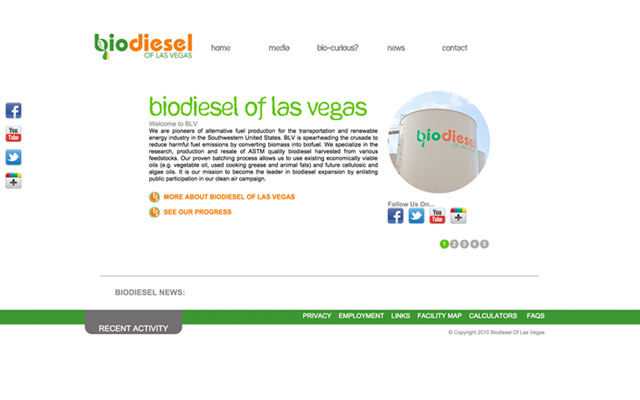 See my extensive portfolio covering many areas of design and development. Cover designs for a nightlife magazine about clubs in Las Vegas. 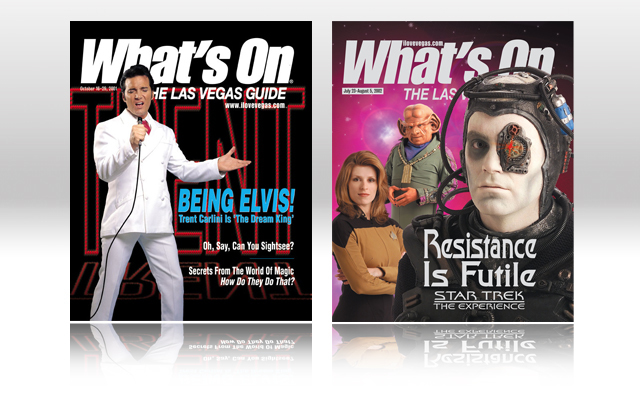 Cover designs for What's On, The Las Vegas Guide. 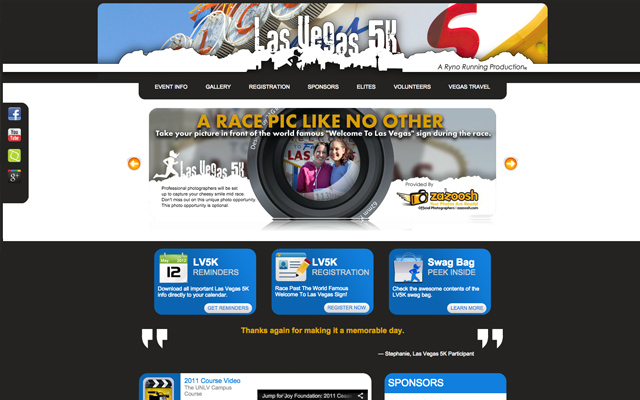 Layout design for What's On, The Las Vegas Guide. 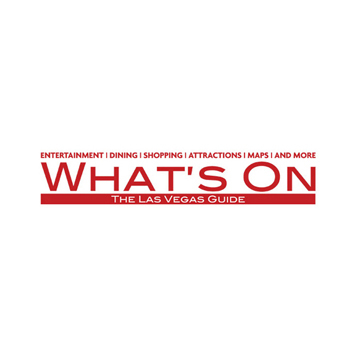 Layout design for What's On, The Las Vegas Guide. The magazine cover this story is featured in won a Bronze Quill for Best Cover. 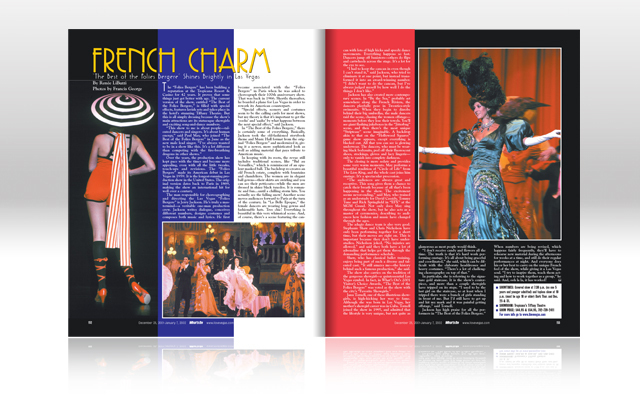 Layout design for What's On, The Las Vegas Guide. For the annual swimsuit issue that marks the kick-off of the pool season in Las Vegas. 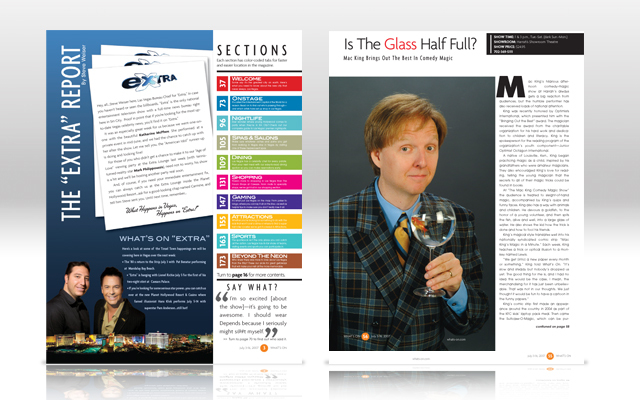 Photo Column design for What's On, The Las Vegas Guide. 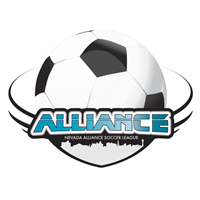 This commercial was created to promote the 2016 Spring soccer season. This commercial was created for promotion of the clients magic book. Completely shot on iphone 6. 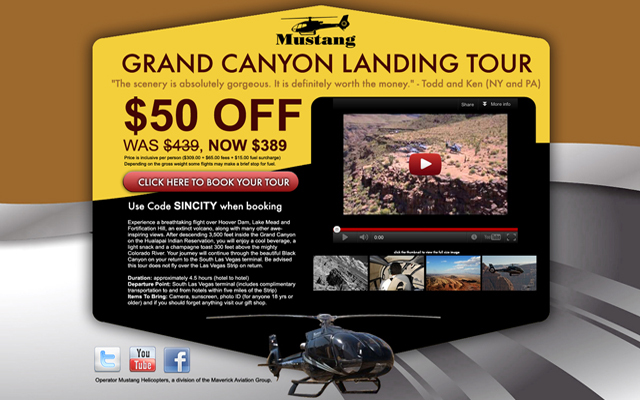 This landing page has been designed for a single focused objective, guiding the visitor toward the intended conversion goal. As part of a school project. 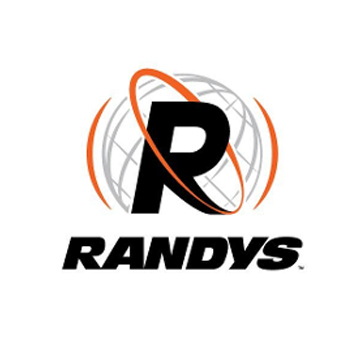 With Randy's Ring & Pinion, direct mail is the best way to reach wholesale customers. Using direct mail to combat overstock, use coop dollars and make announcements is certainly the way to go. We will work closely with the post office to ensure that everyone on your mailing list is seeing your message. 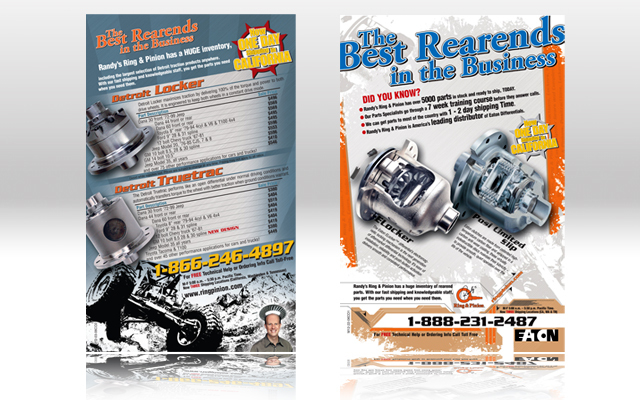 These ads were designed to sell differential auto parts. The ad on the left lists parts and their pricing. 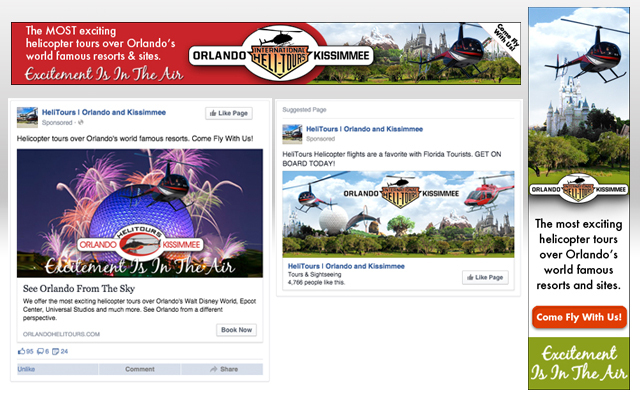 The ad on the right highlights one of the business' six core principles. Five other ads were created with the same style to highlight the other principles. 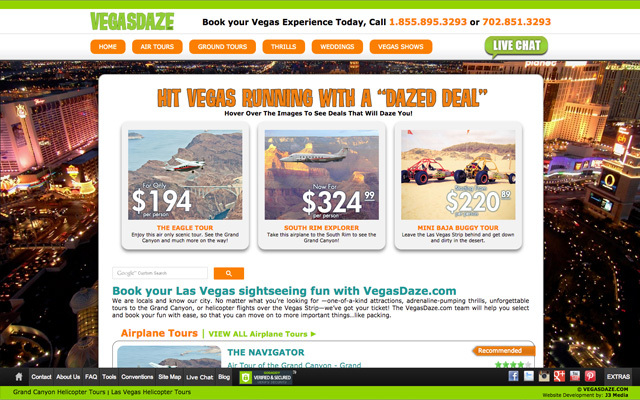 These ads were designed to promote buying Las Vegas show tickets online. 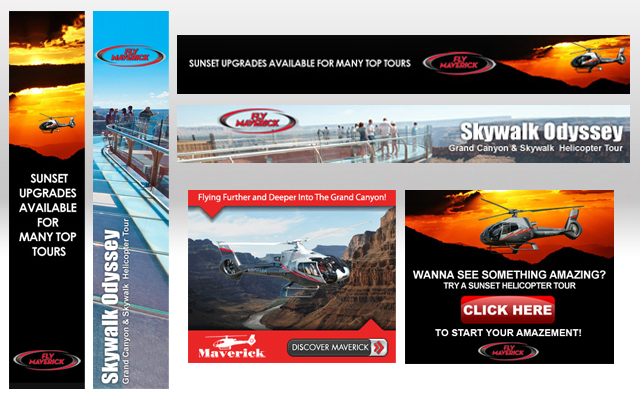 These ads were also resized to both two-thirds page and one-thirds page advertisement. In some publications the one-thirds ran in three consecutive right-hand read pages. 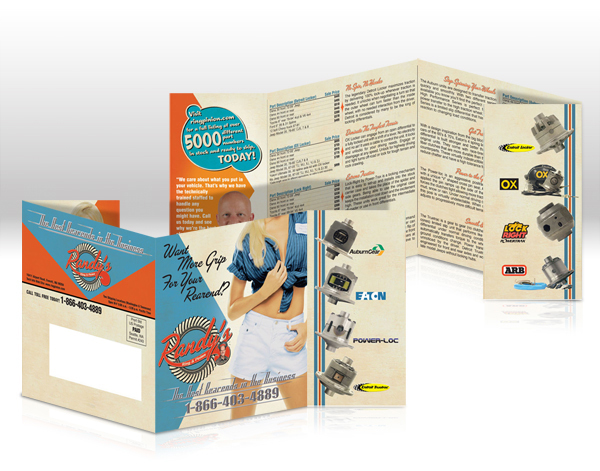 This tri-fold piece was designed in a retro-style using one of The Randy's Girls to invoke a bit of nostalgia. This card was sent out to potential Affiliate Program participants. 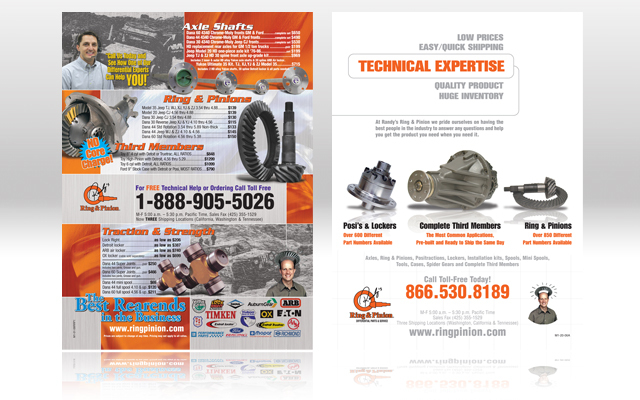 These ads were designed as a co-op featuring only one brand that Randy's Ring & Pinion offers. This ad ran in Peterson's Four Wheel and Off-road and Four-wheeler magazines. Role:Marketing Manager, Graphic Design and Photographer. 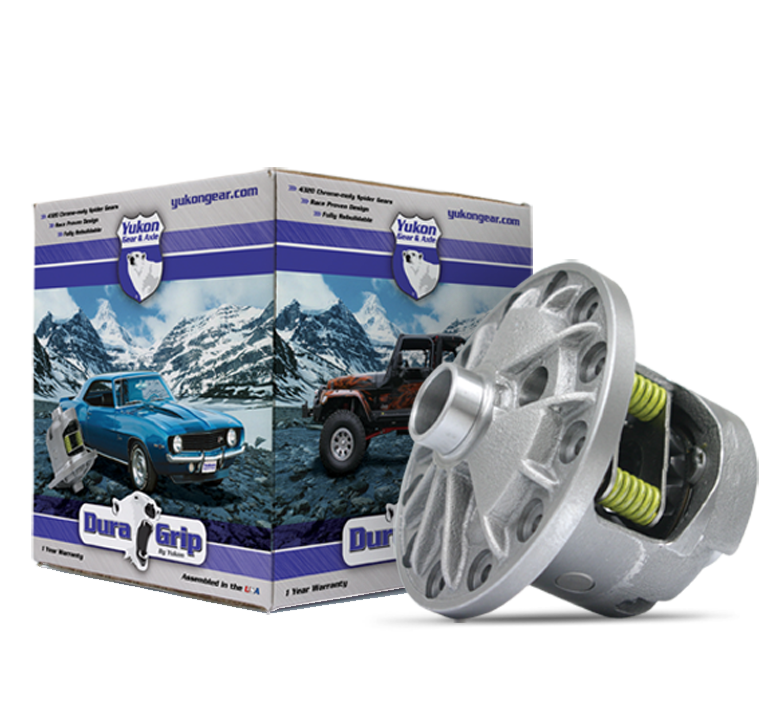 Packaging for the Yukon "Dura Grip" Positraction. This design was also used for other packaging and is still used today. 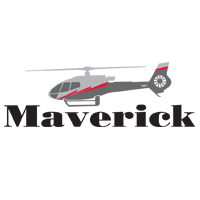 Role:Marketing Manager and Graphic Design. 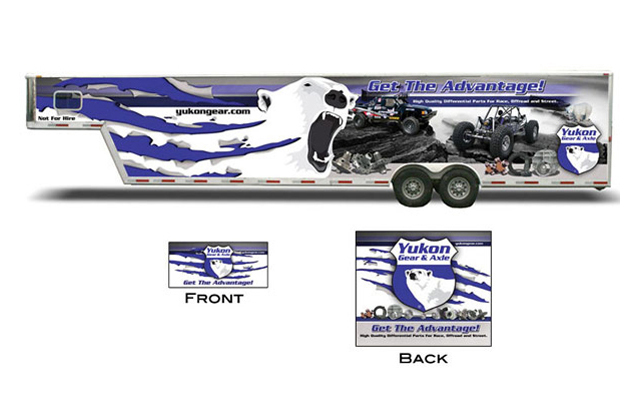 A race trailer was used for sponsored drivers and at shows and events all over the country. Role:Marketing Manager, Project Manager and Graphic Design. Each year the largest tradeshow in Las Vegas is SEMA. 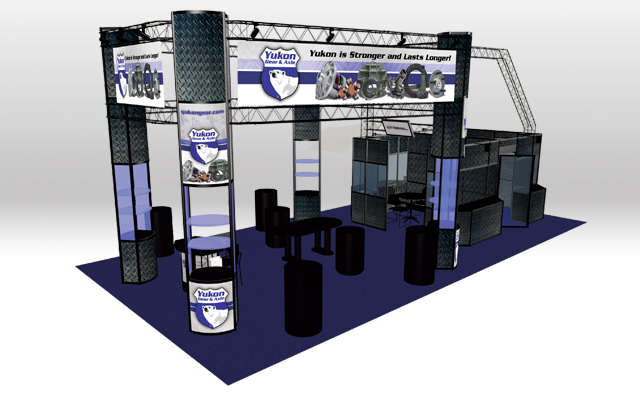 This 20' X 40' booth has plenty of storage for the week long tradeshow, ample display areas and two conference rooms. Awards:2002 COE Addy and 2002 MAGGIE,WPA for best promotion. The "Perfect" Crime Promotion was developed to announce that the magazine was going from saddle-stitched to perfect bound. The audience were potential and existing advertisers. The promotion started with a handmade ransom not. The second mailing was the a box with 3 staples, a staple remover and a polaroid. 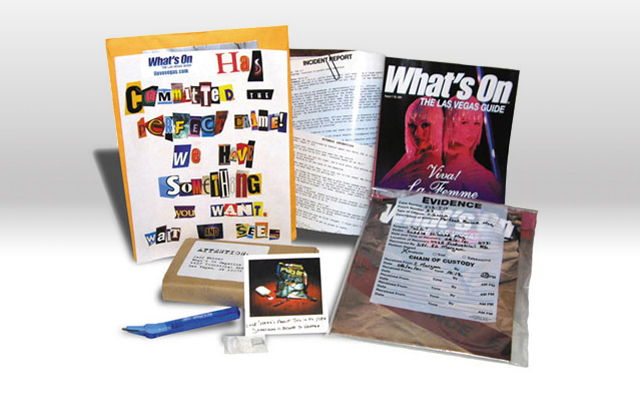 The last part of the promotion was the new magazine (with a coverwrap) inside an evidence bag that was hand written. These were hand delivered by the sales staff. 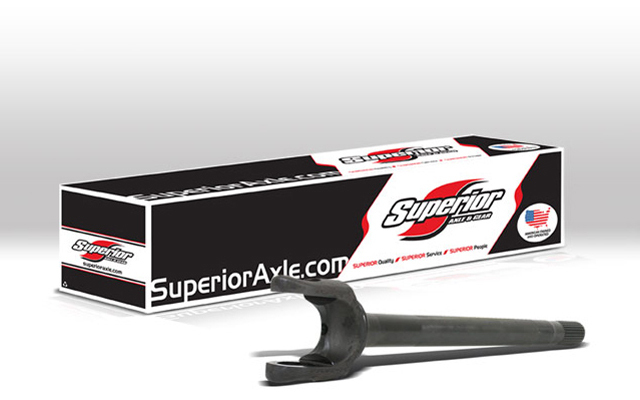 A sturdy 3 color box to ship heavy duty front and rear vehicle axles. 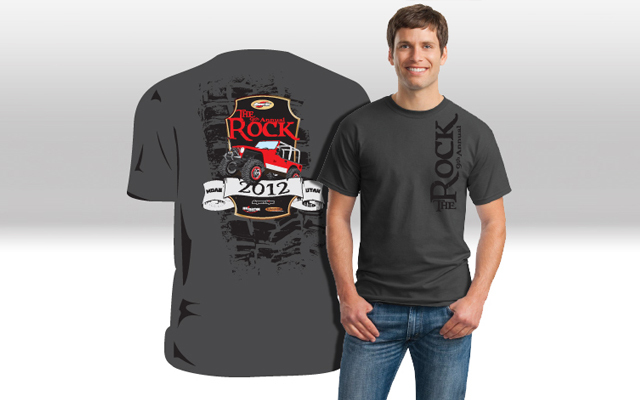 For their annual even, "The Rock" at Easter Jeep. All participants of the event got this shirt as part of their trail package. I developed the first calendar over 10 years ago as a promotional tool that would have the companies phone number hanging on a wall for the full year. 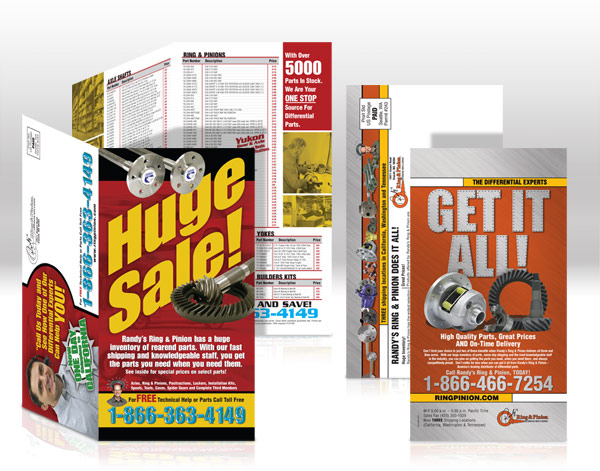 With Randy's Ring & Pinion, direct mail is the best way to reach wholesale customers. 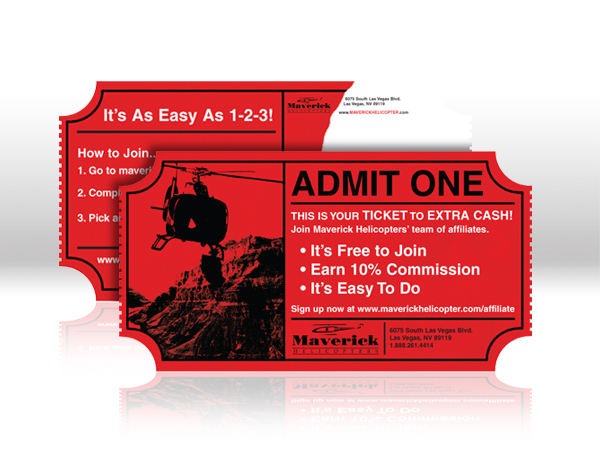 Using direct mail to combat overstock, use coop dollars and make announcements is certainly the way to go. We will work closely with the post office to ensure that everyone on your mailing list is seeing your message. Just like a FedEx envelope that seals and has a tear-a-way tab, this presentation folder was designed to be a self contained presentation that could be mailed easily. 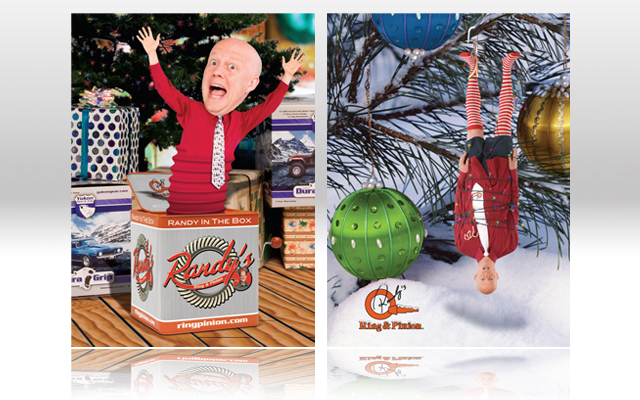 Each year we had some fun with the owner of the company and featured him in silly situations on the annual holiday card. 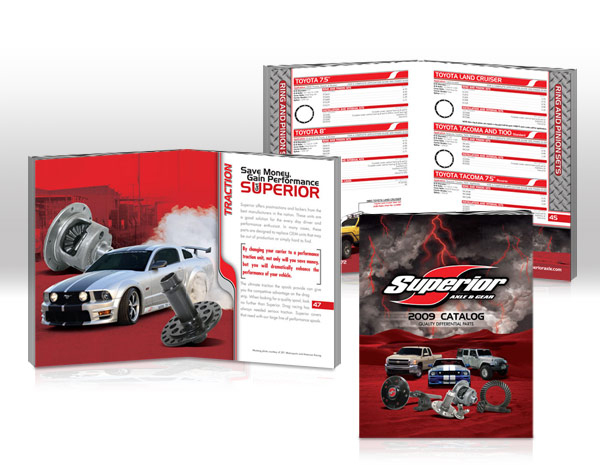 This 84 page catalog lists all parts and kits that the company has to offer. Sent to all customers and by request. 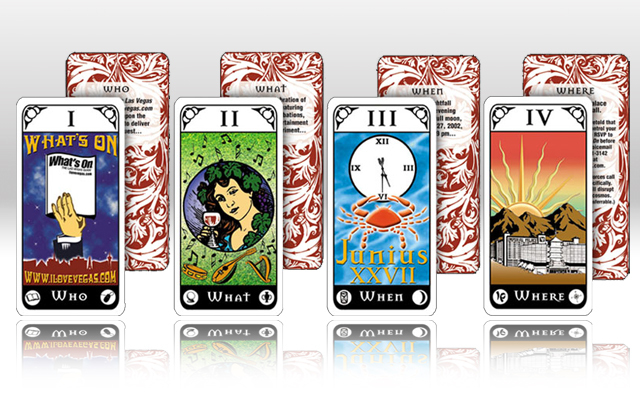 Awards: MAGGIE Award for "Best Invitation"
This invitation consisted of 4 tarot cards depicting the "who, what, when and where". 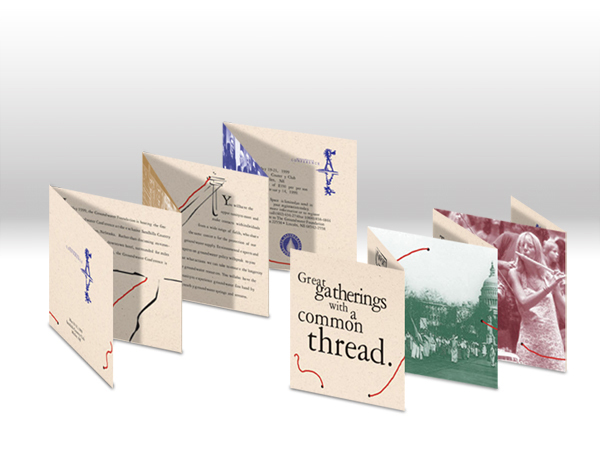 The cards were sent out to all existing and potential advertisers wrapped in a red cloth and tied with gold string inside a gold envelope. When the guests arrive, they find themself inside a gypsy camp with palm readers, a gypsy band in the center of the room and themed food. 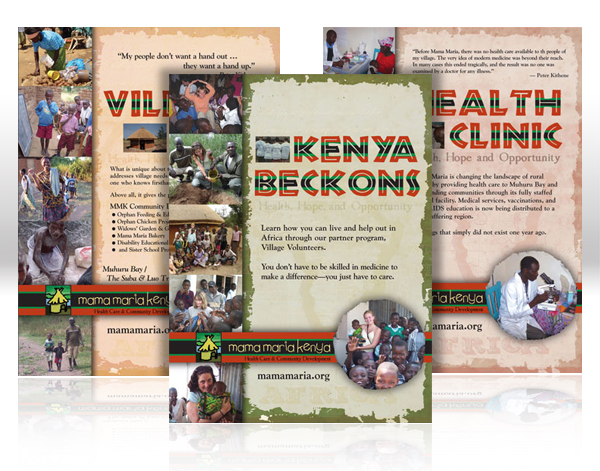 Used at a fund raising event for the non-profit, these posters were hung for all guests to view. 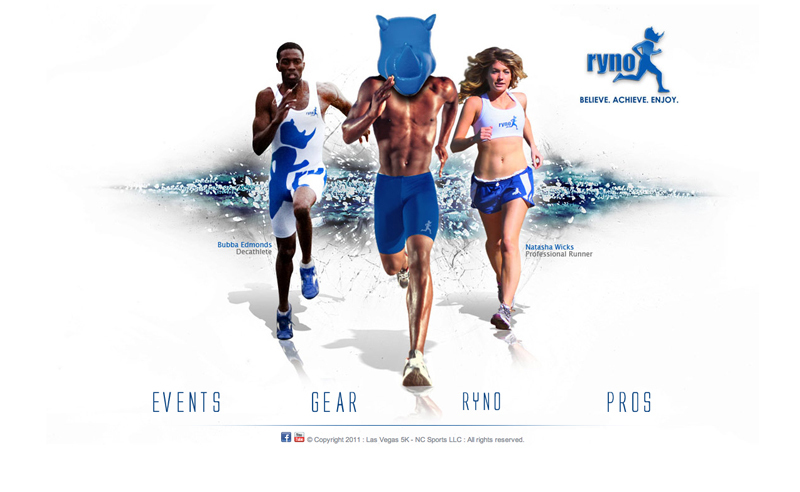 Runnerslink is a website for all things running. 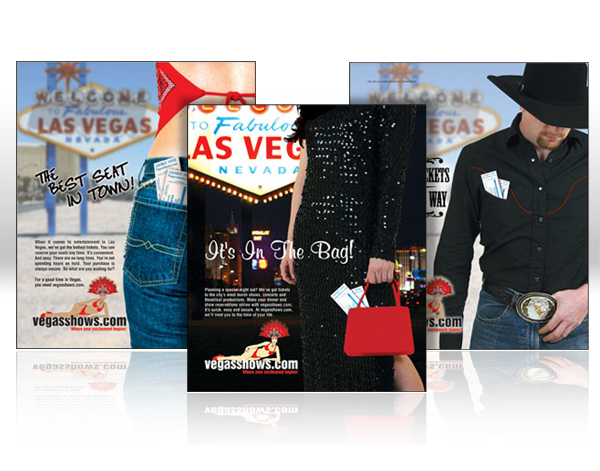 I started my professional career in Las Vegas as the Marketing Designer for What′s On, The Las Vegas Guide after graduating from college. While part of the Marketing team at What′s On I won two Maggie Awards (WPA′s magazine awards), one for Best Promotion and another for Best Invitation. I then moved to Lynnwood Washington where I became the Marketing Manager/Art Director for Randy′s Ring & Pinion, an Inc. 500 company. While at RRP, some of my responsibilities included developing their marketing plan, ROI analysis, developing a marketing budget, writing branding standards for the company and trafficking all projects. I also did 100% of all design work. 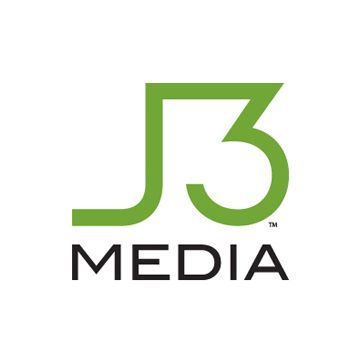 I then returned to Las Vegas and formed J3 Media LLC. with 2 other partners. We still operate today with just a handful of clients. I now help with any needs that may arrive from J3 Media. 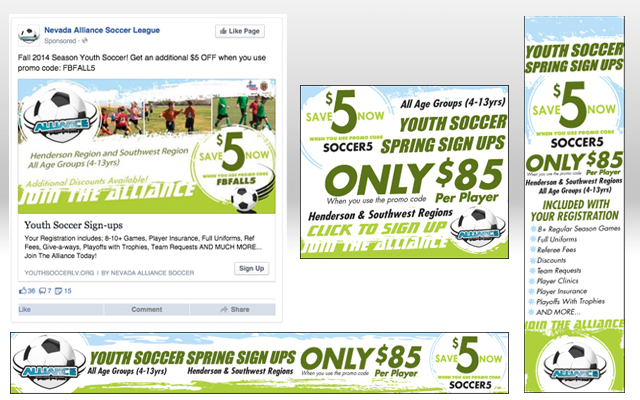 I also run the marketing for a Youth Soccer Non-Profit organization. 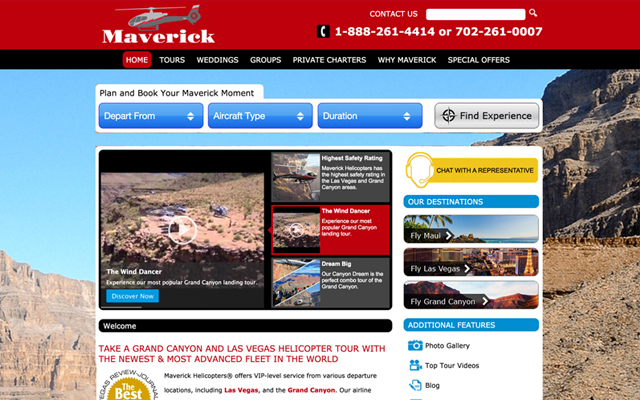 I has been helping companies brand themselves and increase revenue for more than 15 years. I have learned many valuable skills durring my career. I am always striving for knowledge and diving head first into new technologies and how to utilize them. More references are available upon request. 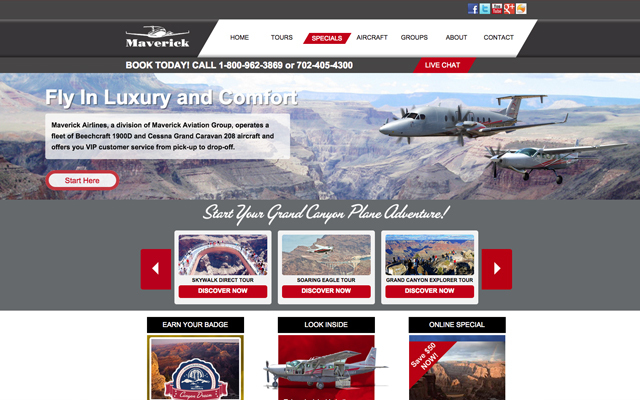 "Since the launch of the new site we have seen an increase in online tour reservations." "We have grown the league over 20% each year since Jeff has taken over our marketing." "Outstanding! 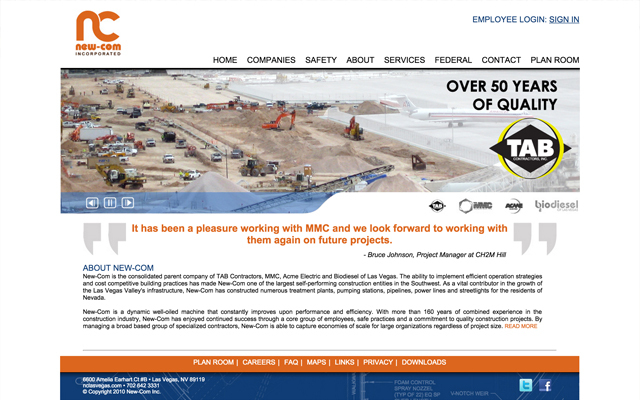 Jeff is engaged throughout the project and knew exactly what I wanted which made this process extremely easy and fun."